Yay Pink Lovers!! 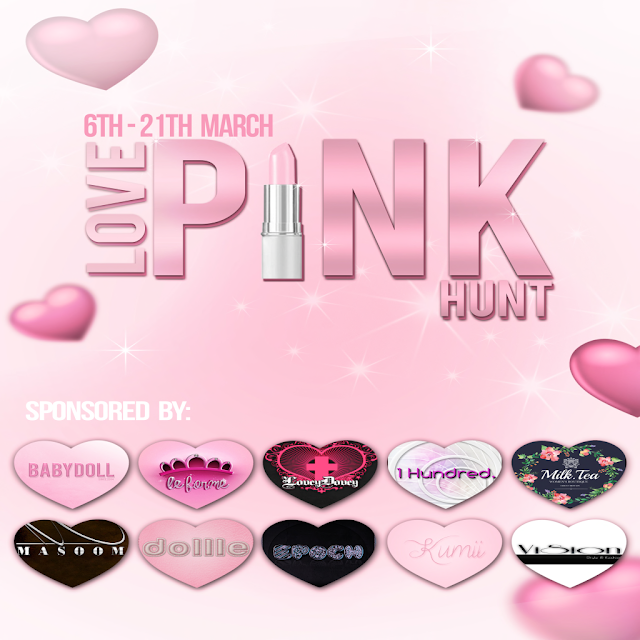 I'm excited to bring you Love Pink Hunt which will officially start on March 6th and will run until 21st of the month. Every item that is offered in this hunt is new and exclusive and it's Pink!! 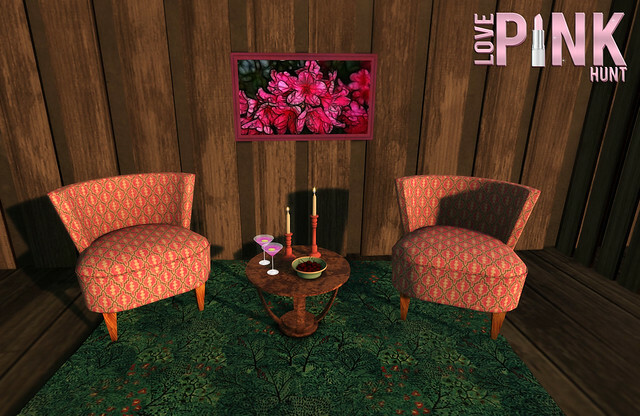 The prizes range from poses or clothing to accessories or even furniture! The hunt items cost 2L$ and I have here a sneak peek of the prizes by random featured designers.